Unless you live on Mars chances are you’ve heard about the powerful heart- healthy benefits of olive oil. You’ve also heard about the weight loss and skin health properties of olive oil. First we’ll tackle the health benefits, then we’ll get to the weight loss and waistline slimming properties. (Be sure to check out our dirty little book of dieting for the complete package). Extra virgin olive oil is loaded with mono unsaturated fats which are known to slow or halt the oxidation of LDL cholesterol into it’s artery clogging form. Extra virgin olive oil also contains chemical compounds known as phenolics. You may have heard them referred to as Polyphenols. Phenolics are thought to provide potent antioxidant properties as well as strong anti- inflammatory effects. But don’t run out and buy just any olive oil! There are several types of olive oil, and they’re not created equally. When you head out to the supermarket or health food store next time, be sure to read the label carefully. Extra Virgin Olive Oil is the goods. Don’t even bother with the other stuff. 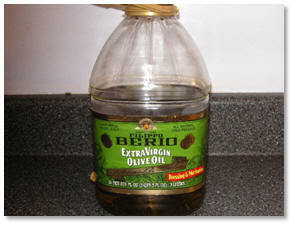 Virgin Olive Oil – from the second pressing. Decent amount of phenolics, but not the best. Pure Olive Oil – undergoes some processing, such as filtering and refining, doesn’t contain an appreciable amount of phenolics. But wont adding fat to my diet make me fat? The point here is NOT to add keep eating crap and add some good fat to it. Dipping your burger and fries into a cup of olive oil won’t do you much good. In fact, you’d be creating a caloric surplus and a metabolic environment where body fat would surely accumulate. You’d also be neutralizing the health benefits. The key here is to substitute olive oil in for other fats. Olive oil makes a great substitute for butter or margarine is almost all recipes. When you’re out at a restaurant and the bread bucket comes, instead of buttering your bread, dip it in some olive oil. You won’t be missing out on the taste, and you’ll be getting more healthy fats. In fact, most good restaurants keep some flavored olive oil on hand for dipping. Another one of my favorite uses for olive oil is to coat grilled chicken. 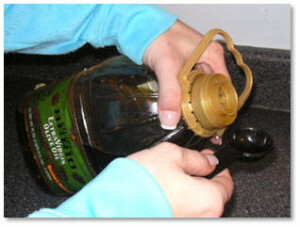 The oil keeps it nice and moist- especially useful when you’re taking some for lunch in your Tupperware. So how does olive oil help you lose fat? Up until a few years ago, most of the studies involving olive oil were focused on the heart- healthy benefits and antioxidant properties. However, because so much attention was focused on olive oil, it was found in recent studies that olive oil promotes better fat metabolism via the mitochondria in cells by helping to release energy as heat. Yes, a great thing for those seeking to lose a few pounds. Through the diverse chemical interactions and reactions of the body, uncoupling proteins ramp up caloric burn and force the body to burn off calories at a higher rate, rather than storing them as body fat. Now, while reading that paragraph may seem like “the answer” to your fat loss needs, it’s not license go out and start pounding olive oil. I’d recommend starting out by substituting any fatty condiments and cooking you do with olive oil. The effects of olive oil on fat loss are cumulative, and obviously must be added to a quality diet and exercise program.